Rowena Cade was born in 1893 in Derbyshire. The Cades moved to Cheltenham when Rowena’s father retired in 1906. 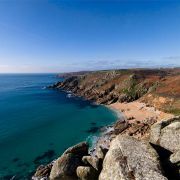 After the First World War, Rowena’s widowed mother sold their home in Cheltenham and rented a house at Lamorna. 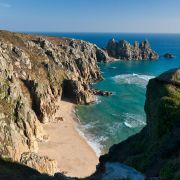 Rowena discovered the Minack headland which she bought for £100 (!!!). 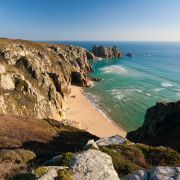 She built a house there for herself and her mother using granite from St.Levan. Throughout the twenties Minack House and its garden provided the setting for many amateur productions. Rowena had a talent for designing and making the necessary costumes. 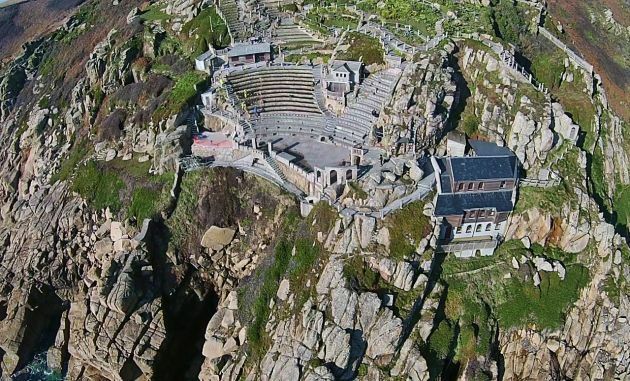 After successful productions of “A Midsummer Night’s Dream” in the open air at Crean in 1929 and 1930, it was decided to stage “The Tempest” in the rugged coastline scenery of the gully above the Minack Rock. It took six months for Rowena and two local craftsmen to build a simple stage and some seating. The first performance in the summer of 1932 was lit by batteries and car headlights. Rowena Cade was already thirty eight when she began her ambitious project. Over the next seven years there were many improvements and extensions. 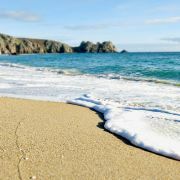 Then, with the coming of the Second World War II, it seemed as though all the back-breaking work might have been wasted. 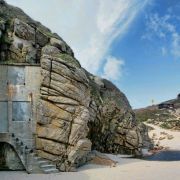 But in 1944 the Minack was chosen as a location for "Love Story" the film starring Stewart Grainger and Margaret Lockwood. Over the years, Rowena Cade had developed techniques for working with cement. Using the tip of a screwdriver she decorated surfaces with lettering and Celtic designs before they hardened. 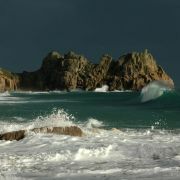 She fetched the sand from Porthcurno beach and carried huge beams from the shoreline up to the theatre. 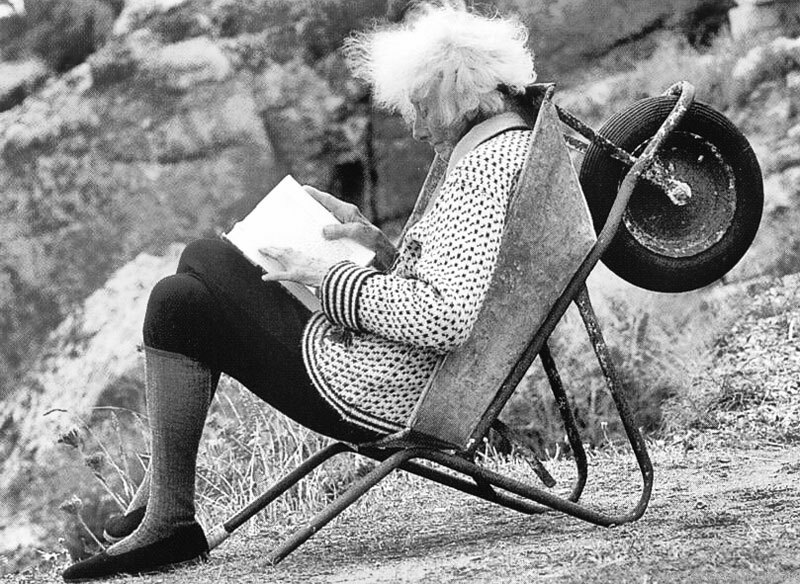 Even though she looked frail, Rowena Cade continued working on her theatre in all sorts of weather each winter until she was in her mid-eighties. When she died, just before her ninetieth birthday, she left sketches suggesting how the theatre might be covered on rainy days. Perhaps one day someone will carry out her designs.